Register Log In Britbike forum Forums Britbike remembrance forum NO!!!!!! Dennis Brown??? I'm not sure of the details but I just got word Dennis Brown is gone. Anybody out there know what happened? I just got a package from him a couple of weeks back and he was telling me about painting tank badges? Things seemed normal. He was such a fine fellow........and a joy to be around. Last time I attended a OVBSAOC event he was at.......we spent a couple of days together riding our BSA unit singles around. Last edited by Gordon Gray; 04/20/18 3:32 pm. Man...really sorry to hear this. I've been hoping to see him back at OHVBSA. Bill, apparently it was a blood clot......while he was doing yard work. No pain or sickness.......just gone. I don't have any other details. I was just talking to him a couple weeks back . I just heard about this myself, Dennis was a great guy and will be missed. I always saw him riding around on either one of his singles or Nortons. Does anyone know when/ where his funeral will be? .....snip......Does anyone know when/ where his funeral will be? That's hard to believe, or fathom. Dennis was the first guy that I 'knew' on the Internet that I met in person, at Butler's Orchard. We had been writing and Emailing, and met at the rally and didn't know who each other was until we got to talking and I said "You wouldn't be DennisB, would you?" and he was! When my A10 wheel finally gave up on me as I pulled into OVBSAOC one year, he gave me a ride back to Virginia, after the rally was over, where Fay could pick me up. 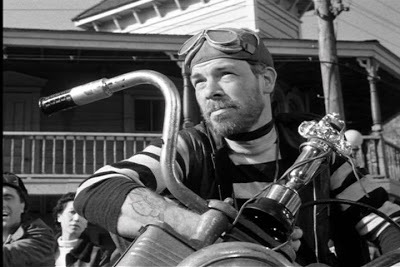 He was into Nortons, his 250 RE flathead, his Ariel Square Four, and was just an all-around good guy. From what I gather there isn't going to be a funeral. They are having a small celebration of his life April 29. I guess if you know they family you will be in contact with them about a time and place. This time around I'm going to just have my own celebration of his life......I have a package from him on my shelf I got a few weeks back. A unit single tach drive......as a gift. It'll stay in the envelope until somebody gets it when I'm gone. I know he put it in there.....wrote my name on it and sent it. It'll remind me of him every time I walk by it. Lannis........let's not forget he was a BSA unit single guy too. Had at least 2 441's and just finished up that pretty 250 last year. I'm proud to say there are a few parts on those three that came from me. I really liked the guy........he was 100% genuine. Another one of the fold gone too soon. 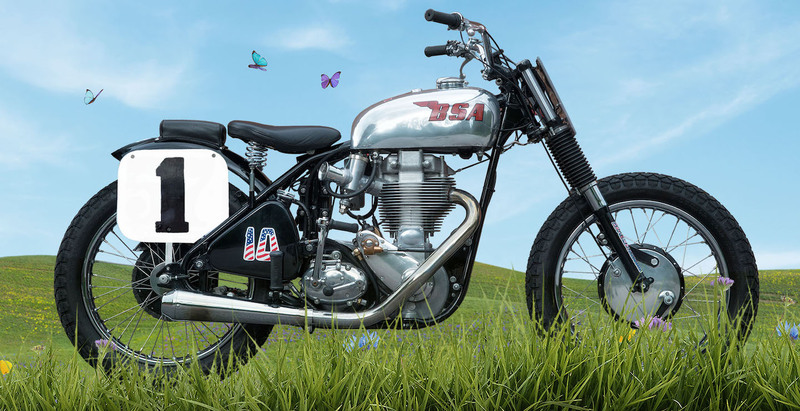 Dennis was a REALLY good mechanic and one of the last things he helped me with( motorcycle wise) was picking a chain for our BSA unit singles......I had been going through them too fast.....and I was using quality chain. Well he suggested a brand/model and since then I have never looked back. His bikes always ran well and he LOVED riding them. Never had a chance to be around him except for Cables Campground but I have considered him a good friend for over 15 years. I'm glad he didn't suffer......he seemed to stay in pretty good shape.......you just never know. Gona miss him but sure won't forget him. Last edited by Gordon Gray; 04/20/18 7:03 pm. I'm very sorry to hear about Dennis B passing, Our sincere condolences goes to his family. Dennis had member# 182 and registered to this forum as member probably 1996 or close after. I remember seeing his post from that time but I can't say I knew him as we didn't have any direct contact. I have now added a R.I.P. to his public name Dennis B, R.I.P. and changed his group to "In remembrance" group. Thanks for sharing this Gordon. This is the saddest news I've had all year. I considered Dennis a friend. I first met him at OVBSAOC in 2007, had breakfast with him and Bill at the OVBSAOC a few years ago and stayed in touch with him since. We would occasionally do rides together to/from lunch since he only lived about 45 minutes from me. 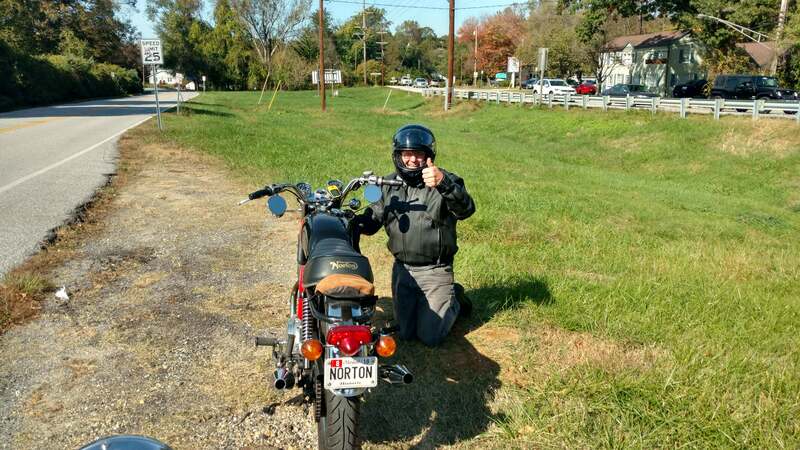 I was talking to Tom today on my way to Charleston to pick up a Norton and wanted to call Dennis since he just got his sorted. Tom told me the news. I'm at a loss. I like this photo of Dennis. We left lunch in Crownsville and his bike was acting up and then died. He found a loose lead on his coil and seemed pretty pleased he'd finally found the problem! Hey guys, today marks 1 year since Dennis's passing. Every time I drive up to Annapolis I pass by his house and I think of him. It still gets me down. I miss the Brit bike lunch rides through all the country roads that he knew in this area. I wouldn't have known half of them if it weren't for Dennis. Thanks for the memories Dennis! Very hard to believe! I think of Dennis often.....One of the good ones!